One love seat, two club chairs and a coffee table complete this chic seating arrangement. 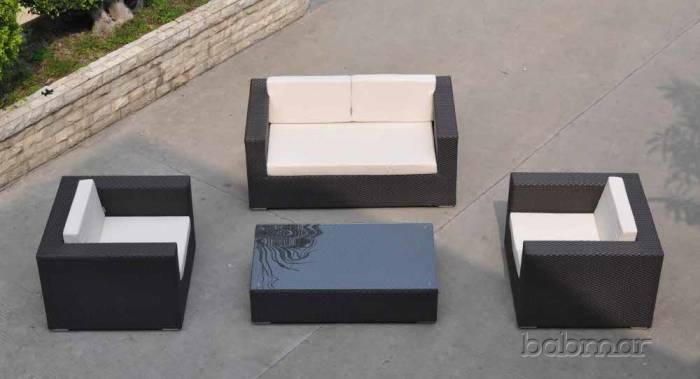 Balanced, contemporary, and perfect for four, the Verano Love seat Set compliments any outdoor space. Comprised of Babmar Fiber® hand wrapped around a sturdy, medium weight aluminum frame, the Verano Love Seat Set is able to withstand the harshest of elements lasting throughout the seasons. The love seat and club chairs are detailed with a 4" thick seat and back cushions and brushed aluminum footings. The coffee table is detailed with tempered glass.